Now more than ever, politicians turn to Twitter and other Social Media platforms. This isn’t anything new. Since the beginning of Twitter, Facebook, and other forms of social media, politicians have increased their presence on the internet to reach out to many potential supporters and keep up with constituents. Today, when running a political campaign, it is almost necessary to have a web presence in order to make your name and positions on certain key issues known to voters. But can there be too much twitter? Too much of a presence online? And could social media be hurting the game of politics for the future? During the 2016 election cycle, Twitter became the go-to platform for ranting and discussing politics to endless users doing the same exact thing. Politicians noticed this, and ran with it, tweeting non-stop and even directly at their political opponents. Most notably, the three main candidates, Donald Trump, Hillary Clinton and Bernie Sanders, all used twitter the most to rally support, attack each other, and tweet their stances on many issues. Even our previous president, Barack Obama, has an active web presence, logging 95 million followers and being the most followed notable politician worldwide. Politicians like President Trump and Hillary Clinton have taken politics on twitter to the next level. Not only would they tweet about the latest story to rile up their respective sides, but they would also use it to directly mud-sling each other on the platform. Whether it takes the form of Trump’s long rants about “Crooked Hillary” or Hillary’s simple but effective “Delete your account” response, these tweets start a flood of supporters from each side going at it in the replies and in the twitter universe in general. As the British website “The Guardian” points out, Twitter is relatively small in the political sphere, mainly used by politicians’ key and sturdiest supporters that help push an agenda, politicians use twitter to start a discussion and get into the mainstream news on TV, in newspapers, magazines, and even other websites. These sometimes outrageous claims and tweets by politicians make it on all of these platforms, furthering discussion of their agendas and somehow still making it into the minds of people who don’t even use social media at all. This trend isn’t limited to twitter, as this carries over to Facebook and even YouTube as well. Facebook has also become a hot-bed for political debates and agenda-pushing. Despite the negative stigma around social media and politics, it seems to be working. According to the Pew Research Center, “one-in-five social media users have changed their minds about a political issue or about a candidate for office, because of something they saw on social media”. That number is astounding. A simple post supporting one candidate, one policy, and movement could have a huge adverse effect. Theoretically, if someone has 500 facebook friends/twitter followers and they make posts concerning on topic of political discussion or supporting a candidate, a good amount of those followers would see that post. Say 100 people see that post out of 500 friends, 20 people of that 100 would be change their mind on an issue or candidate. Whether you like it or not, Politicians using social media to further the political discussion is working, and is here to stay. President Trump will continue to push his agenda; his opponents/supporters will continue to spread their beliefs across the platform, and tweets by any politician will filter through the world of social media into everyday news outlets. This is a trend that is only expected to grow in the next coming elections and years, and a trend that could potentially either help or hurt the political sphere as a whole. This entry was posted in Apps and tagged facebook, internet, politicians, politics, social media, tweets, twitter on October 10, 2017 by TC. Hi there! If you’ve clicked on this article, there is a non zero chance you want to learn HTML. HTML Stands for HyperText Markup Language, and it provides the backbone for the code that makes up most web pages you visit on a daily basis. HTML code is usually written and modified using a variety of tags, styles and scripts. Tags are the backbone of HTML, providing a basic structure for web pages. Styles allow a web developer to modify the layout of a webpage but modifying attributes like the positioning, color, or size of elements on the webpage. Scripts allow a web developer to create ways for users to interact with webpages in a variety of ways. Today, we will be creating a basic HTML document. 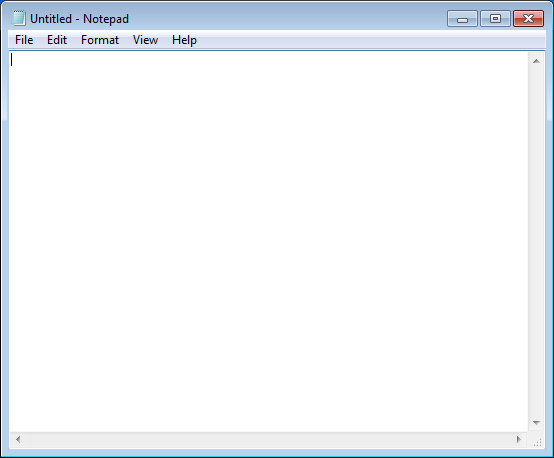 To begin, open up A simple text editor. 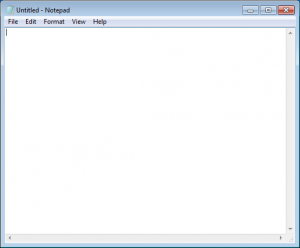 The most common/easy to use for this exercise are Notepad (Windows) or TextEdit (Mac). This is where we’ll begin. As previously stated, tags are the backbone of an HTML document, and are what we’ll be using to create a very basic text page. Every tag has an opening tag and closing tag. Text is then placed in between these tags. 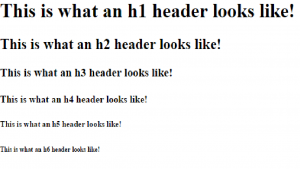 <h1> This is what a header looks like! </h1>? On a very basic level, this is all it takes to write a line of HTML code. Now, let’s dive into a few of the basic tag types. Today we will be going over two very basic HTML tags to help give you a taste of writing HTML code. The header tag is a very important one, usually used to format the title of a webpage. We worked with it a bit up above, but there’s an extra part about headers that is important to know, for formatting purposes. The number that comes after the “h” in the header tag ranges from 1-6. These numbers rank the “importance” of each header in a given HTML document. 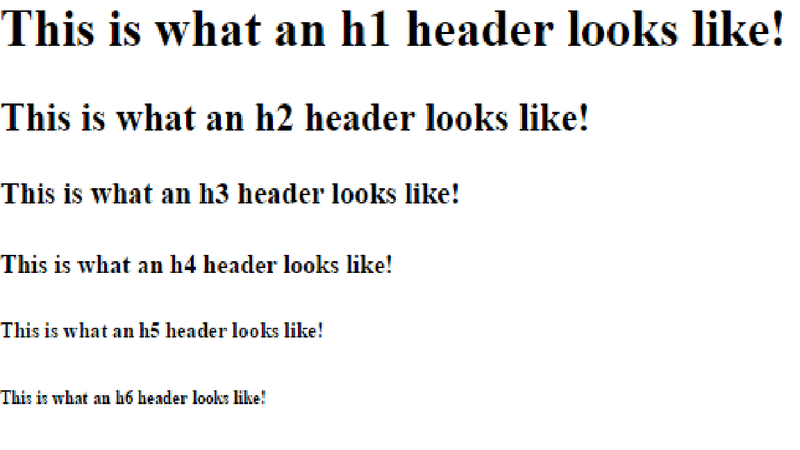 Each rank, from <h1> all the way to <h6>, produce a progressively smaller header. As we can see, each successive “rank” in our headers produces a smaller and smaller line, with the last couple of lines ending up quite small. This allows you to create “sub headers” to rank and organize items on your page by importance. Now that we’ve learned a couple of HTML tags, let’s use them to whip up your own HTML document! Open up Notepad, TextEdit, or similar text program. Finally type an <h2> header, with your name, and the date. Don’t forget to close the tag! Save the file as an HTML document. To do this, when naming the file, type ‘.html’ after the file name (for example: MyFirstHTML.html). Save it somewhere on your computer that is easily accessible. Congratulations! This article provides a very basic overview of HTML, and teaches you the basics of creating your first HTML document. Next time, we will discuss some more basic structural tags, as well as begin discussing styles, which will allow us to further modify the layout and color, as well as other features of our web page. This entry was posted in Learning Management Systems, Operating System, Web and tagged commands, computer, how-to, HTML, internet, Programming on October 6, 2016 by dhand. 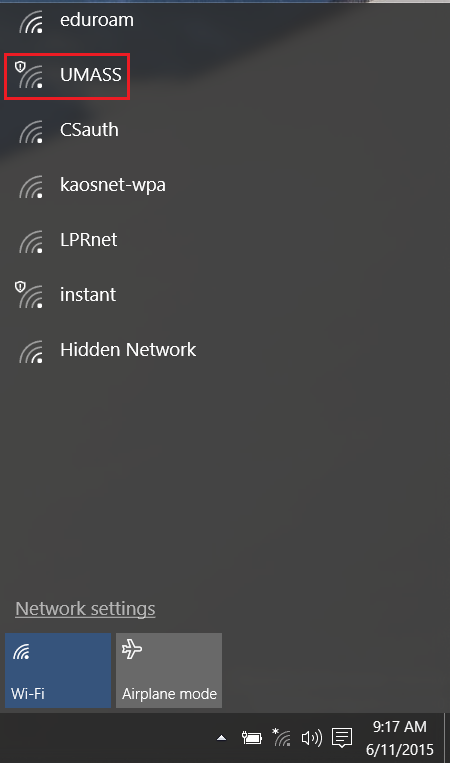 With the release date of Windows 10 approaching (7/29/15), and with that comes good news; Windows 10 shares the same method of configuring eduroam as Windows 8 and Windows 8.1, despite the changes to the user interface. 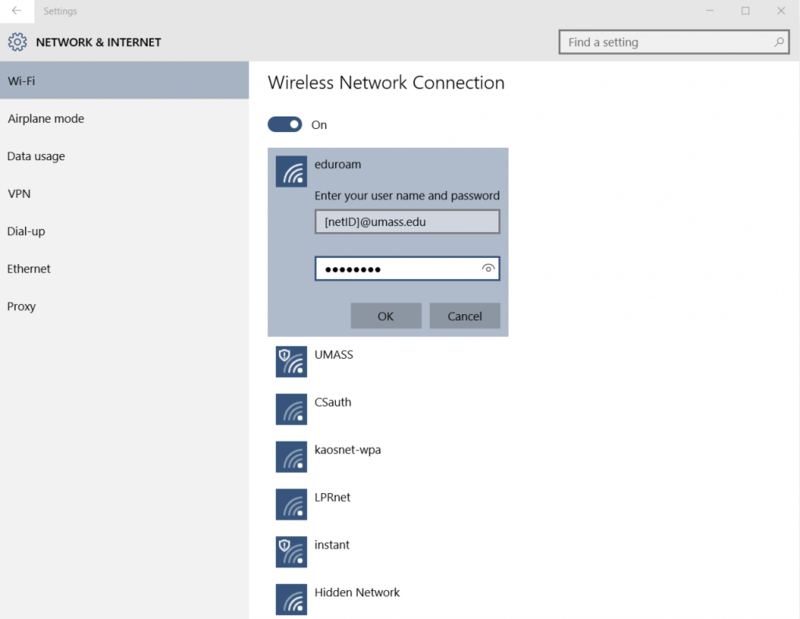 There are two methods to configure your Windows 10 device to eduroam. 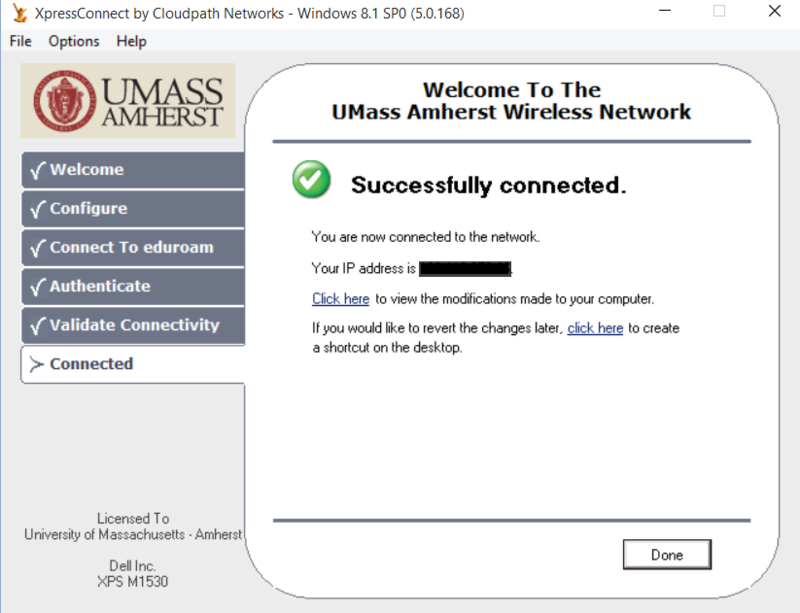 In the Network & Internet window, select Eduroam and select connect. 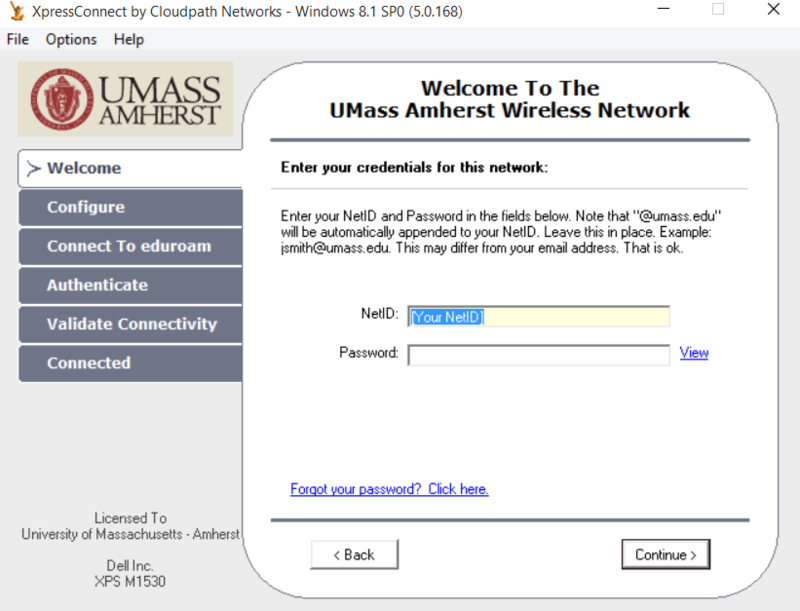 Enter your NetID@umass.edu and your IT account password and select OK. NOTE: At the time this article was written (6/25/2015), XpressConnect does not have a version specific for Windows 10, and the XpressConnect client will state that the current operating system is Windows 8.1. 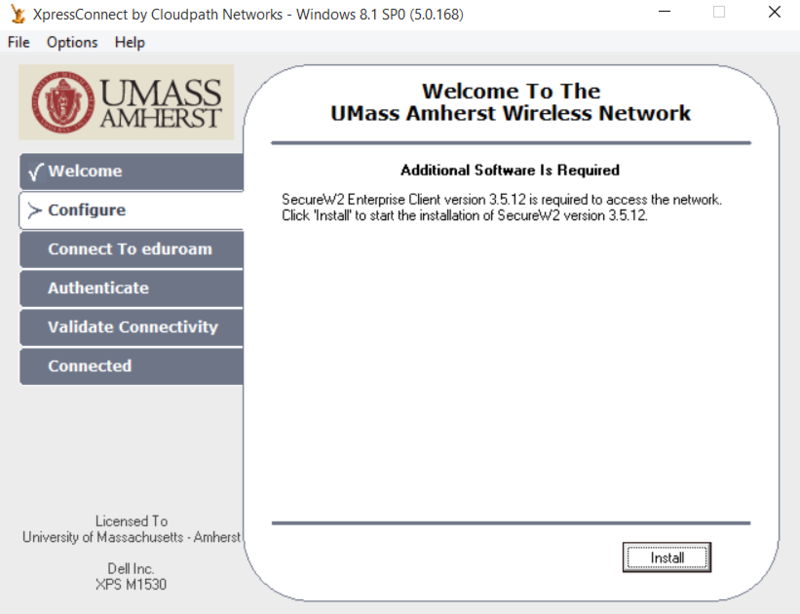 Select the WiFi tray icon located in the bottom right corner and connect to UMASS. Log in using your NetID and password and then select the “Run Xpressconnect” button. Select the download link for NetworkWizardLoader.exe. Save and run the executable, allow xpressconnect to open. Once prompted, enter your NetID and Password and follow the remaining steps for installing SecureW2 and necessary certificates. Grant access to any User Account Control windows that appear, and once the device is connected to eduroam, xpressconnect will state that the device is now connected and what the IP address has been assigned to the device. If you wish to reserve your copy of Windows 10, please visit http://www.microsoft.com/en-us/windows/windows-10-upgrade. The upgrade is free for users with Windows 7, 8 and 8.1 and can be done from your computer at any time. Cheers! 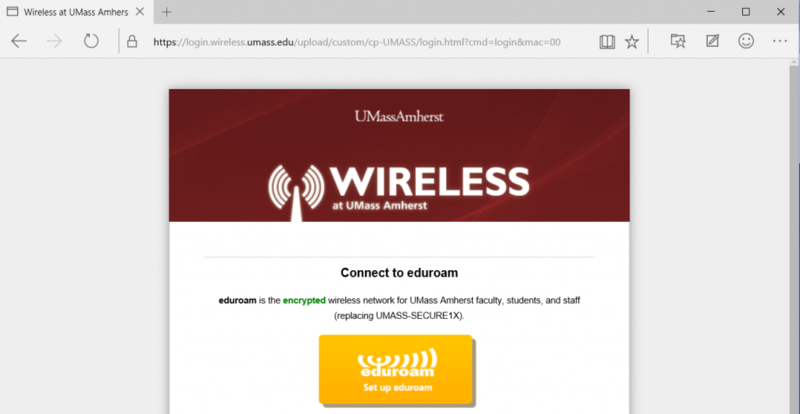 This entry was posted in Windows and tagged #, #802.1x, #win10, #Win10isboss, Certificates, Configuration, Eduroam, internet, UMassWifi, windows, Windows 10, wireless, XpressConnect on July 1, 2015 by Jairo Lopez. What is BitTorrent as a technology? BitTorrent is a technology that is mainly used in the sharing of large files, though it is also favorable in achieving maximum redundancy of a file on the internet. Basically the technology is a Peer-to-Peer system, in which clients (your personal computer) connect to a central tracking server, the “tracker”. This “tracker” keeps track of all the “peers” connected to a single file that is being shared on the network. When peers connect to the server they begin to capture bytes of the file that is being downloaded and in the same likeness begins re-uploading those bytes to allow other “peers” to get at the file being downloaded. The action of re-uploading is also called “seeding”, which allows other “peers” connected to this file to get a maximized connection for download. All in all, it can be summarized as being a file sharing service. The controversy around the use of BitTorrent technology lies in the notorious connotation that the technology has with enabling copyright infringement. Infamous torrent trackers make headline news as they are among some of the most trafficked websites in the world. According to the Alexa Internet Site Ranking service, the 217th most trafficked website in the world is a known torrent tracker. People are very aware of these websites, but if they are unfamiliar with the technology and what it means to be a patron to these sites, they can suffer consequences that can impact their lives severely. 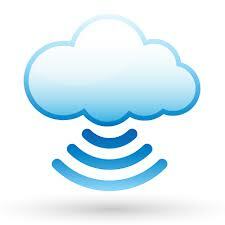 Seeding is the act of uploading to a torrent data stream. As a key part of the technology, seeding is what allows for data redundancy when other seeders go offline, as well as a boost to overall throughput/data speeds when other peers want to download a file. As a seeder you connect to the torrent network, and other peers are able to see where to retrieve data for the file they want to download. The way the download works is based on a network identifier known as an IP Address, so every “peer” connected to the same torrent are either uploading or downloading and are known to every other “peer”. A peer is anyone connected to a torrent file, and downloading or uploading data to the collective network. A peer who rather than committing to upload and download data, is stopping their clients uploading to resist contribution to the collective network. BitTorrent for legal and legitimate use. BitTorrent can be legally used for file transmission, when the material isn’t subject to Copyright, some materials such as open-source software or media with Creative-Commons licenses can be subject to a lesser extent of Copyright, and are often okay to distribute freely. One such site that takes advantage of the BitTorrent protocol is http://linuxtracker.org/ where individuals can download various distributions of the free and open-source Linux Operating System using BitTorrent. What are the consequences of infringing copyright? Because of the Digital Millennium Copyright Act enacted in 1998, any person caught violating a copyright owners exclusive rights, can be penalized in ways where the violator would have to pay damages, being forced via injunction to stop infringing activities, and potential jail-time. 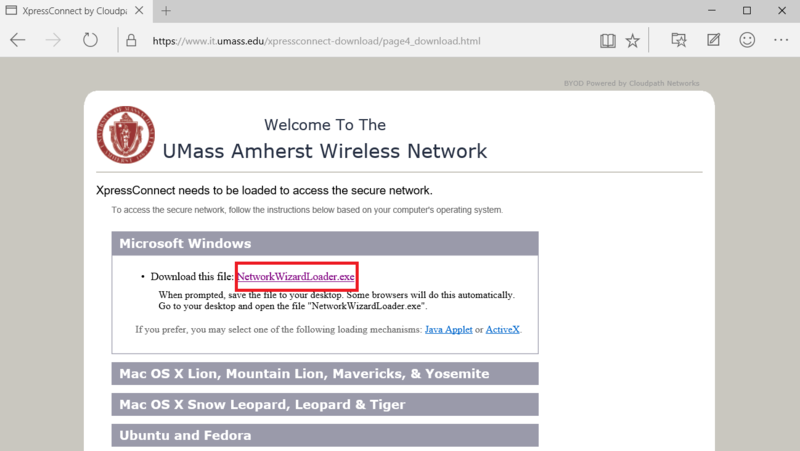 As a UMass student you are also subject to the policies of Copyright and Fair Use instituted by the University, which outlines penalties for violating Copyright. This entry was posted in Apps, Web and tagged internet, Network, Software on April 28, 2015 by cafonso.